Or, at least that’s the plan. Unlike most pod-tour providers, AudioSnacks allows users to post their pod-tours for the chance to make money off them. Kind of cool, huh? 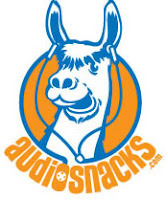 Check them out at: www.audiosnacks.com/Home.aspx.